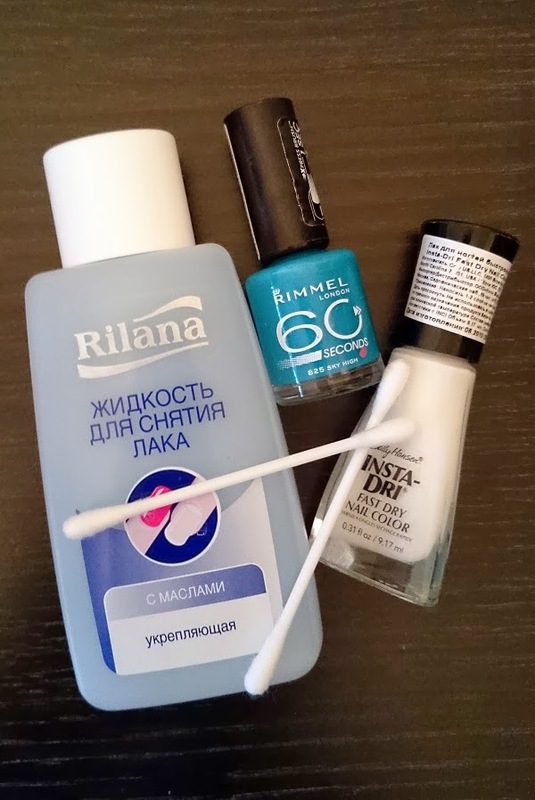 Today on my blog simple "cloud" manicure in blue and white colors. 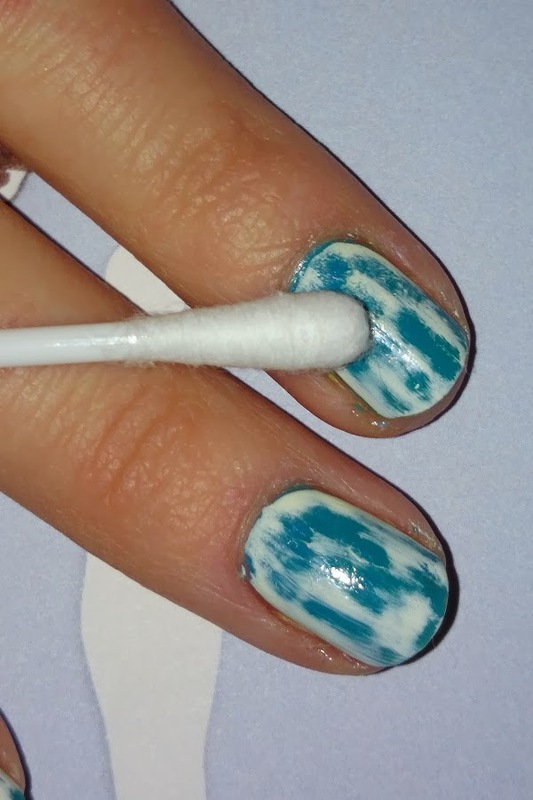 Step 3) Cotton swab dipped in nail polish remover, gently erase the upper white lacquer. 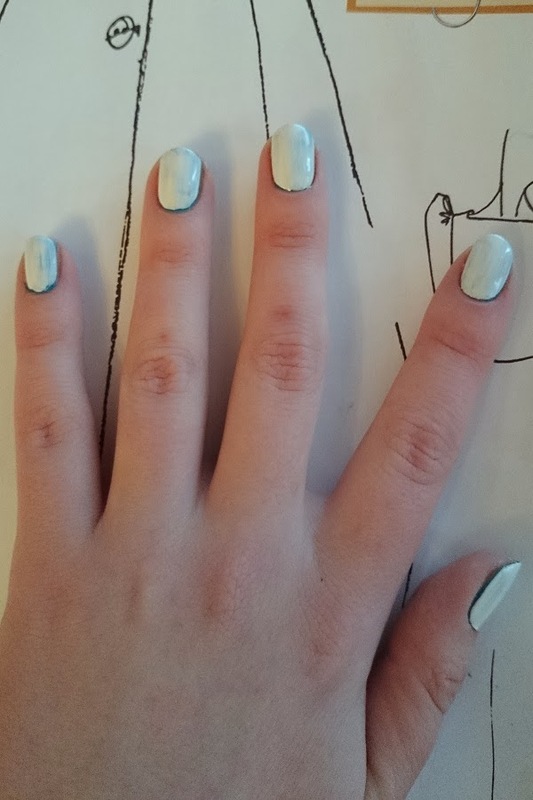 And "cloud" manicure done! Wow I love your nail colors! Nice idea. I should try it too! Thanks for ur comment. :) nice post, very creative idea! I follow u now via gfc and bloglovin. Никогда не пробовала такой маникюр. классное кольцо! That's a cute idea! Haven't seen it before! I'm following you now an fit would be great if you follow me too! Wow that its awesome now I could this nail art you make it look so easy thanks. Of course I will follow you. I follow you now with Bloglovin. Follow you back? Love that manicure, good job! That`s a great idea for nail art! I’m totally in love with your style, amazing! Hey! Thanks four your comment, I agree with the idea of following each other, I've already followed you. See you on my blog. I absolutely adore your ring!! great and original idea! we follow you via Bloglovin' honey! Gorgeous nails! And of course we can follow each other. I've already followed you on GFC and Bloglovin. I look forward to seeing you on my blog! Such a beautiful nail look! I definitely need to try! :-) It is very creative! Easy, quick and beautiful nail style. I really love this post, I should try to do it. ps - amazing wok of heart! loved it so much! I think i'm gonna try it! Lovely colors!! Will try this! Fantastic manicure and nice ring!! I absolutely love this tutorial dear, such a great idea.x It instantly makes your nails look so sophisticated! 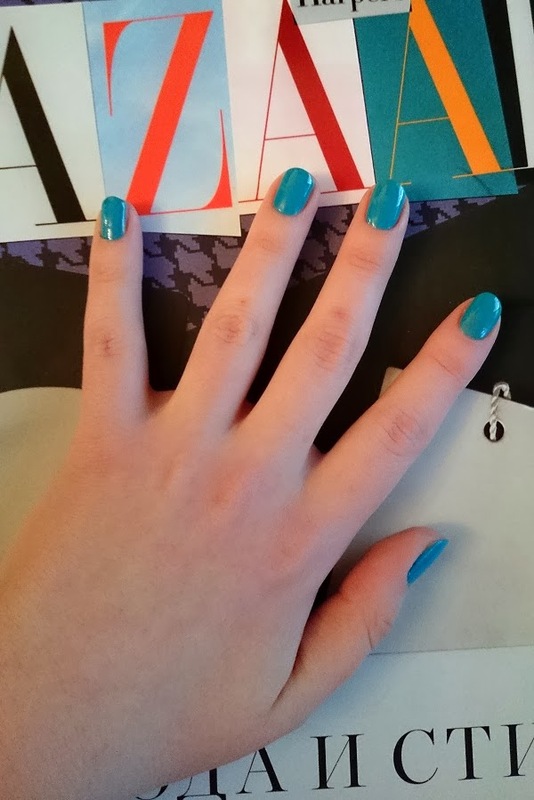 Love that colour from Rimmel, such a nice blue colour! Can't wait to try this out.x Have a lovely week! Very cool! Clear and informative tutorial! That good manicure. I love Rimmel london. amazing art nails! you are an artist! Adorable nails! Love these. Thank you for visiting my site. Would love for you to follow me on bloglovin and GFC as well! thank you for your sweet comment I just started following you!!!! Wow gorgeous nails and so creative! Love it! 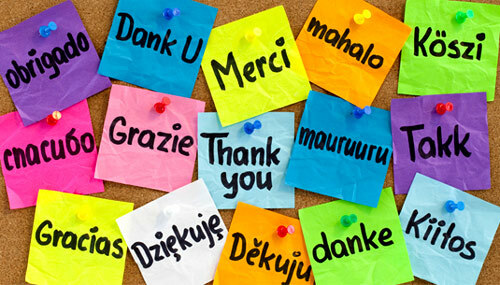 Thanks for your comments on my blog. Lets follow each other! I just followed you on GFC! 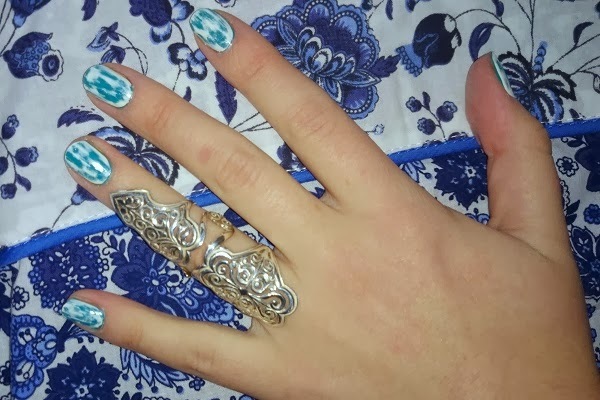 Beautiful nail art :) I was wondering if you would like to follow each other? do let me know..
Wow.. gorgeous and creative nail polish! Your nail art is really great! Thank you for your comment! Of course I follow you, follow back? Thanks for your comment on my blog! Yes, I'd like to follow each other! so,I'm following you on GFC, please follow me back! it looks so cute !!! I like your blog, i follow you now! If you want follow me back!! Your nails are so good! I wish I had the patience to make mine look this amazing! This is such a creative manicure, great colours and looks fantastic! Thanks for sharing your opinion with me on your last post. Wow, It's fantastic!! Thank you for your comment and I follow you now on GFC, G+ and Blogloving. I wait you on my blog. Oh great color adn great nail style!!! Thanks for your lovely comment! 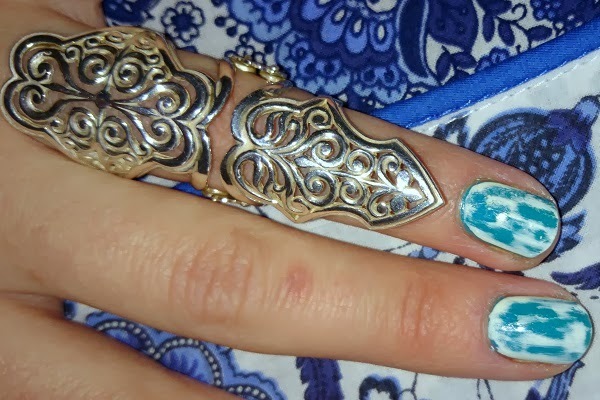 Love the blue color of the nailpolish!